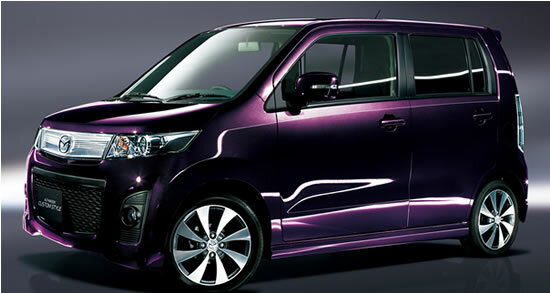 Mazda today launched the special edition Mazda AZ-Wagon XS Limited and Custom Style XS Limited for the Japanese market. Based on Mazda’s AZ-Wagon XS Special and Custom Style XS micro-minis, the new XS Limited and Custom Style XS Limited offer a more refined exterior and interior design thanks to exclusive features, including black chrome headlights, smooth synthetic suede seat upholstery, and a leather-wrapped steering wheel accentuated with blue stitching. High-quality equipment includes synthetic suede upholstery and auto-light system. User-friendliness is also enhanced with special equipment such as door mirrors that automatically fold in and out when doors are locked and unlocked, an auto-light system that automatically switches on the vehicle headlights according to ambient light conditions, and a heated driver’s seat (FWD models. 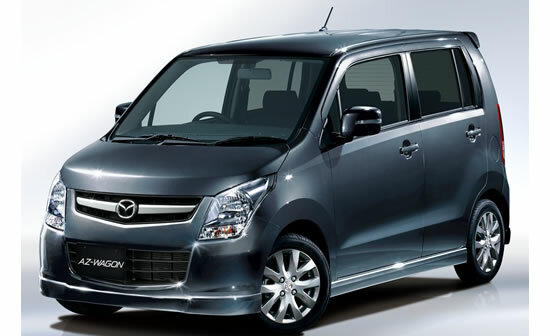 The exclusive micro-mini wagons go on sale today at all Mazda Autozam, Mazda and Mazda Anfini dealers throughout Japan.